Here you will find our awesome merch for your bachelorette party needs. We dont only supply for Nashville but for parties all over the US. Items include: Tank Tops, Bachelorette Shirts, Bride To Be Sash, Balloon Banner, Koozies, Coolies and more! 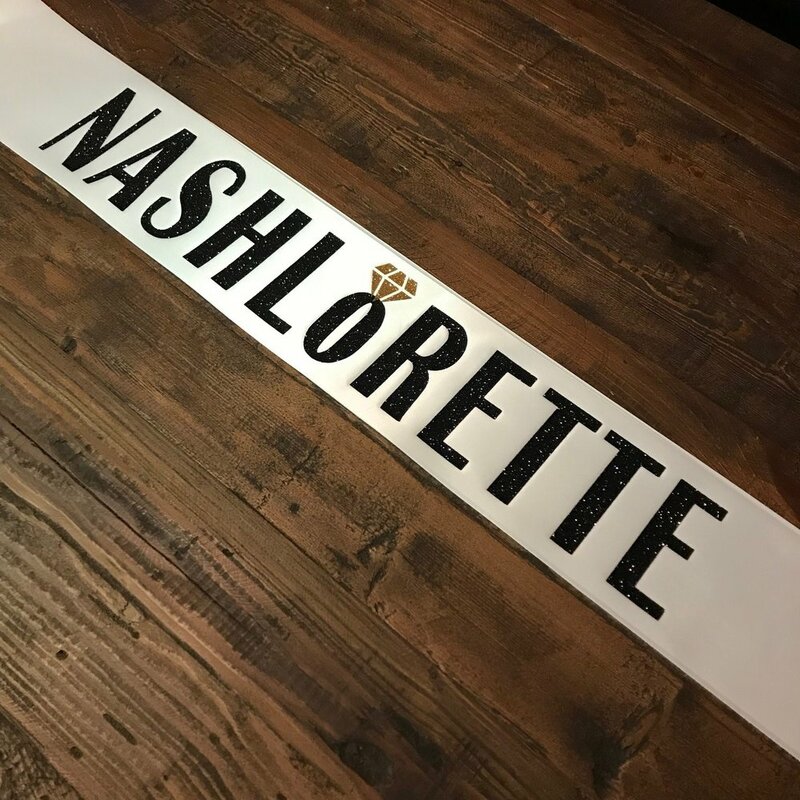 Check out our custom Nashlorette merch at our Etsy store. 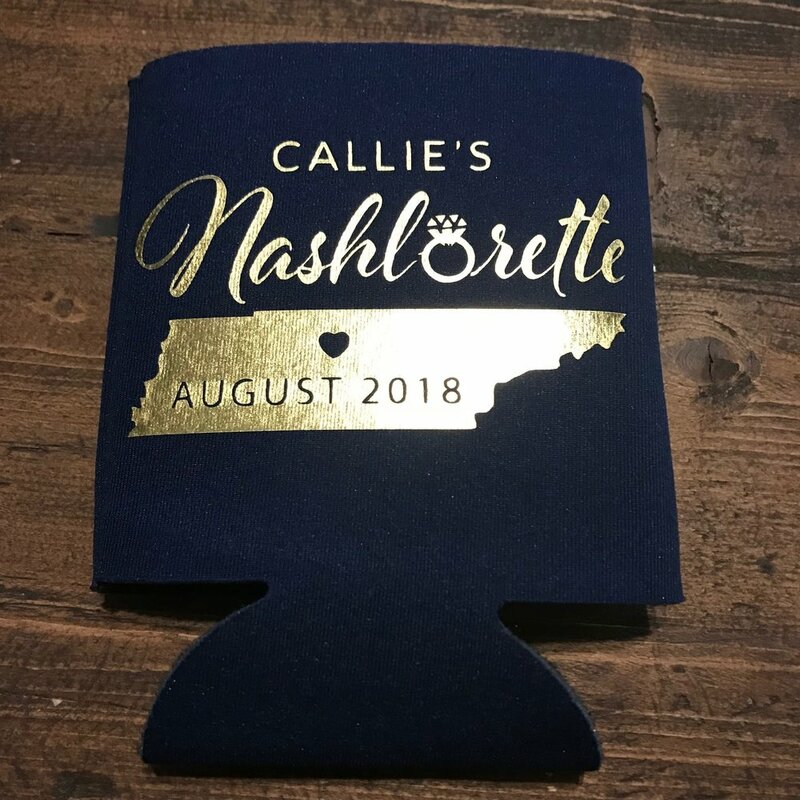 We have plenty of items to make you Nashville Bachelorette Party even more special. Items such as: Customized Tank Tops, T-Shirts, Bandanas, Balloon Banner, Mugs, Hats and more.